To look at S.I.N. you first have to look at Vince Pellegrino, the founder of the Pellegrino Entertainment Group and the publisher of S.I.N. Pellegrino got his start in the 1970s promoting disco music first as a DJ in clubs, later as a retail buyer. In the late 70s, Pellegrino was in charge of dance music promotion at CBS, eventually becoming head of their disco department. In the 1980s Pellegrino went on to work for RCA Records, and later was the VP of Marketing at Chrysalis Records. Pellegrino would eventually leave the labels, but would stay in the world of music promotion. He set himself up a new business, called the Pellegrino Entertainment Group, which would be hired by major labels to promote their artists and acts to radio and other entertainment outlets such as DJs and clubs. The S.I.N. 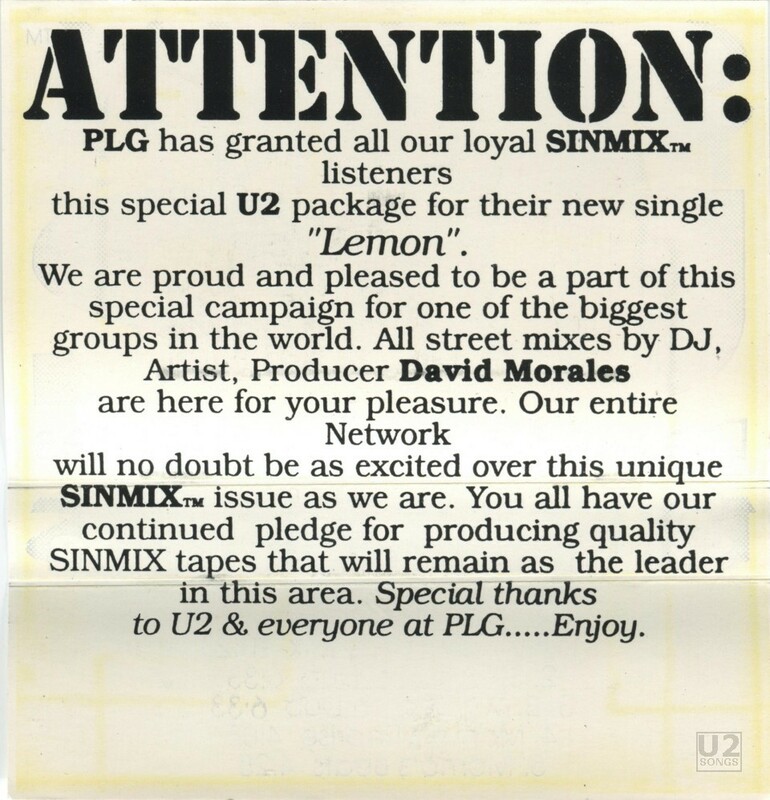 name would first get used in 1992, as Pellegrino hired by labels to promote their music, put together the first Sinmix cassette, promoting Rave Music in November 1992. In May of that year, he produced a compilation of rap. In 1993 Pellegrino would be hired by PolyGram to promote acts such as P.M. Dawn, Sybil, Mica Paris and East 17. 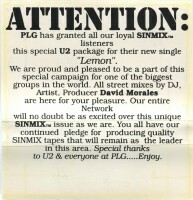 These artists were all featured on a promotional cassette called “Sinmix gets connected to PLG”. The compilations featured music sent by PolyGram, but often with clips being edited by Franco Iemmello, who Pellegrino would work with as an editor. In March 1994, S.I.N. would compile their first promotional CD, this time targeted towards Modern Rock DJs instead of dance or rap. The first in the series was called “B.L.A.S.T. 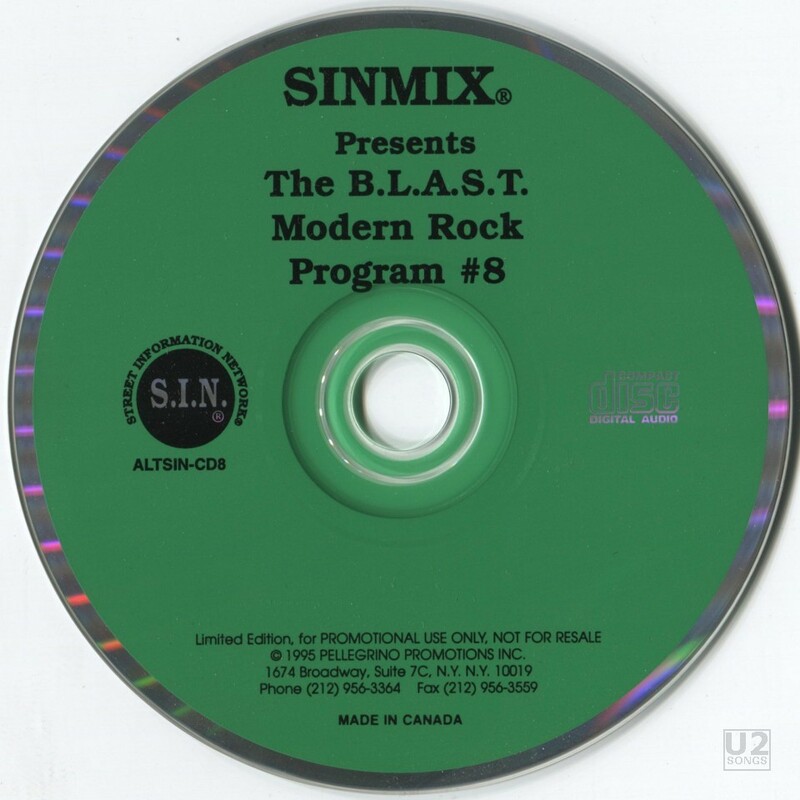 Modern Rock Program #1” and featured acts like Live, The Smithereens, and the Ramones from labels such as Atlantic, WB, Mercury, and PolyGram. The CDs were professionally pressed. They were circulated with a backing insert, and sometimes a cover. Each issue of “B.L.A.S.T.” would feature a special section at the end called the vinyl vault, where Iemello would transfer vinyl only tracks from artists being promoted to a digital format. S.I.N. would continue to produce their Sinmix cassettes as well while starting to move into the CD format. Each month materials were sent out for feedback including a reply sheet, which those recieving the tapes had to check off and fill in comments which Pellegrino would then take back to the label. 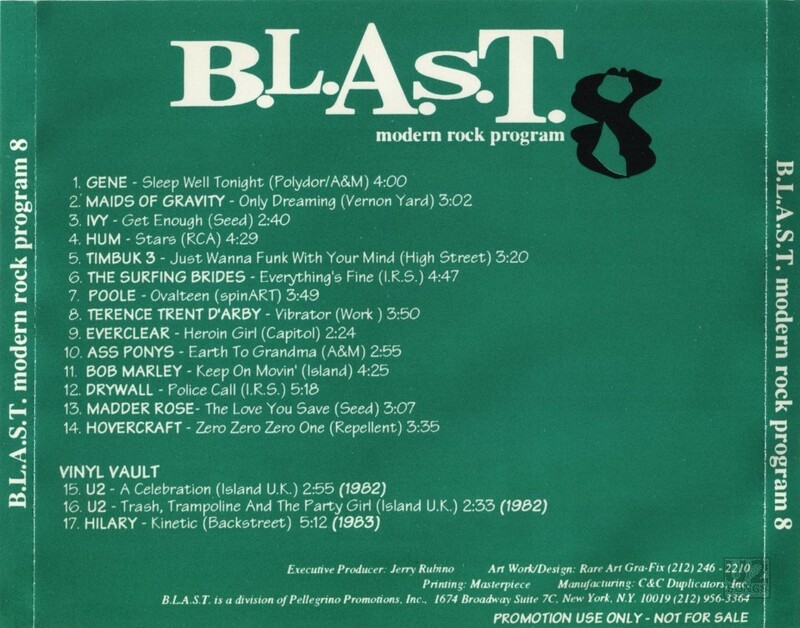 U2 featured a couple of times on the B.L.A.S.T Modern Rock Program. In 1995 they were featured on “The Vinyl Vault” section of Program #8 (ALTSIN-CD 8), with the songs “A Celebration,” and “Trash, Trampoline, and the Party Girl.” Program #23 contained a number of U2 tracks including “Another Day,” “11 O’Clock Tick Tock,” “Touch,” and “Treasure (Whatever Happened to Pete the Chop)”. 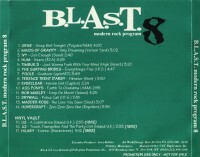 For a number of years these tracks were not available on CD, and these B.L.A.S.T. 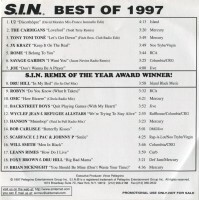 releases became a popular way to find these tracks. 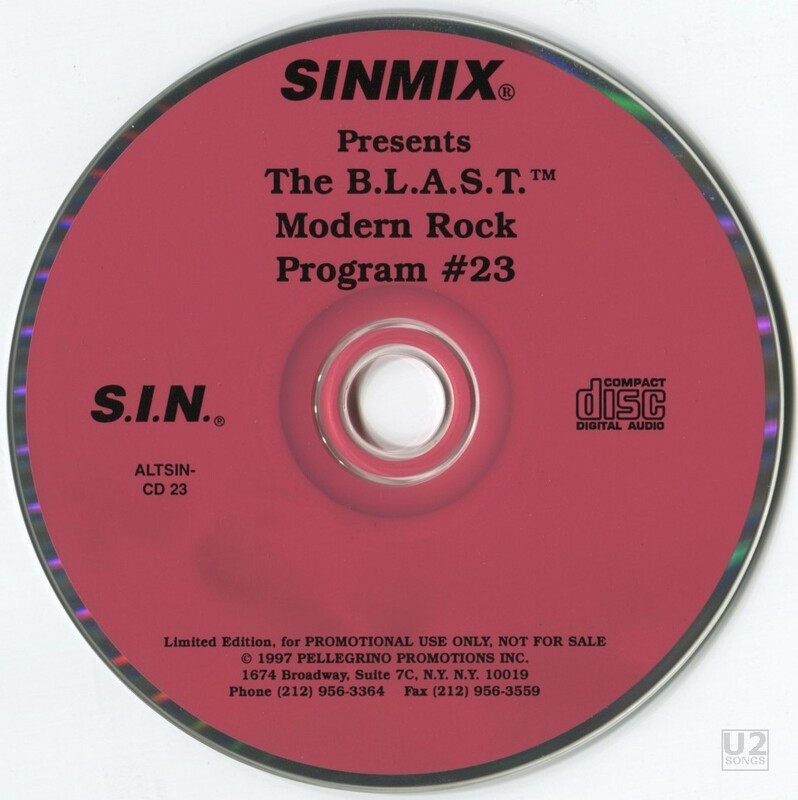 U2 also featured on the CD release, “S.I.N. 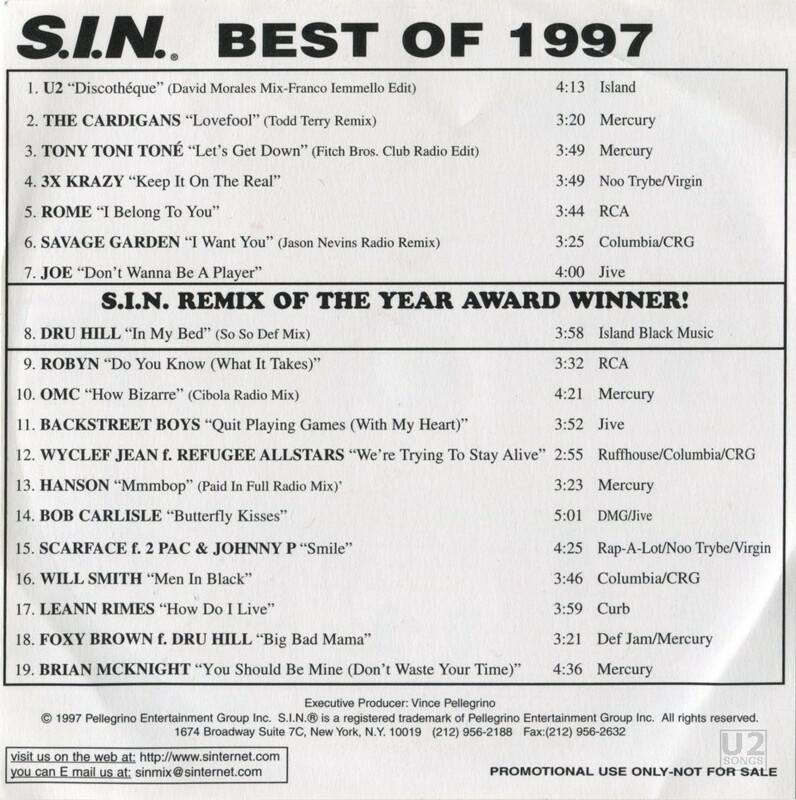 Best of 1997” which was a dance oriented CD of remixes. On that CD U2 is featured with the David Morales Mix of Discothéque, but rather than the full mix version, Franco Iemmelo had edited the track down to 4:13 in length. The mix on this release is labeled “David Morales Mix – Franco Iemmello Edit” and is unique to this release. 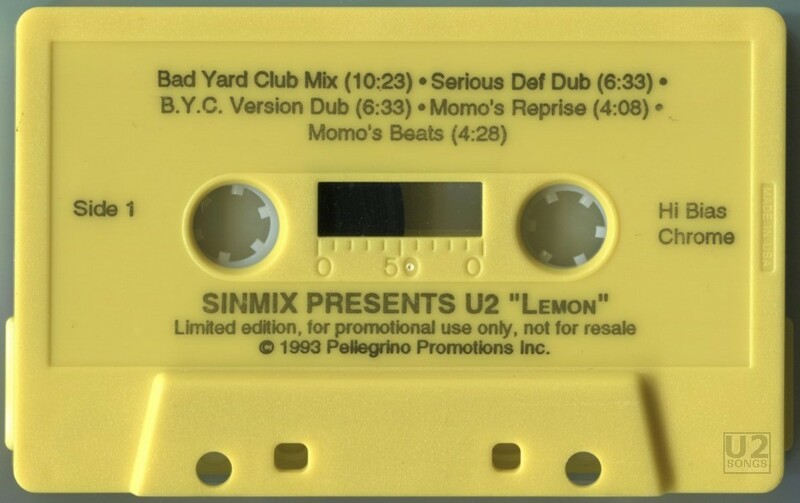 Perhaps the oddest release was cassette titled “Sinmix presents U2”, which included five remixes of U2’s “Lemon” on cassette in late 1993. The cassette was coloured lemon yellow, and contained the five tracks on both sides. There was an insert with the cassette. 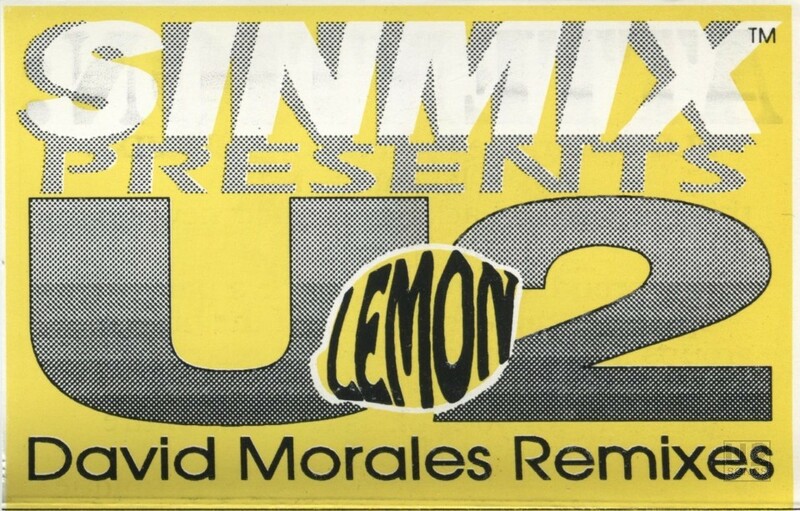 On the front was a design that said “Sinmix Presents U2 Lemon David Morales Remixes” with the word lemon in an actual lemon. The spine of the cassette says “Sinmix Presents U2 Remixes” and the back of the insert lists the five tracks on the cassette. Pellegrino passed away in February 2015. U2 has not done anywork with Pellegrino or S.I.N. since the Best of 1997 CD release, which was close to the end of U2’s time with PolyGram, before they moved to Universal.